Old suitcase will not just become a rubbish if you able to repurpose it as something useful. It can be changed as storage to save various things. You may create it as shelves, tables, or other things that you need. See these following ideas. To create this outstanding coffee table, you need an old suitcase and add four legs at each nook. This idea work very well for a farmhouse room decor. Furthermore, you will have extra storage to keep your goods. Worrying about your dog house? 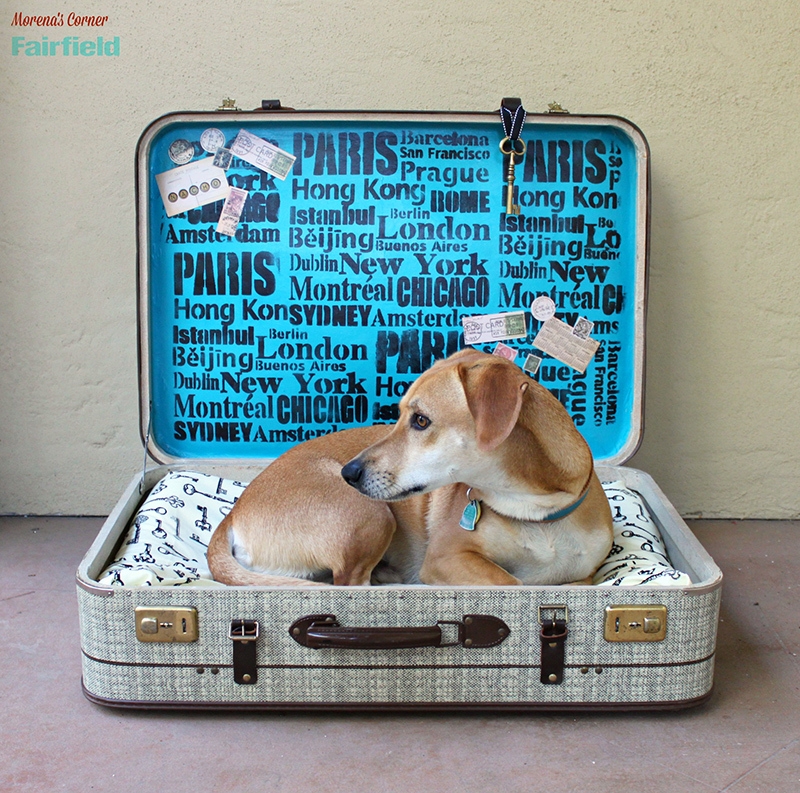 Use an old suitcase and repurpose it as your dog bed. It will not take time to create this wonderful dog bed. No need to sew anything just put a pillow for it to sleep well every day. Repurpose your old suitcase as storage may not cost much. Arrange your sewing items on this old suitcase started from fabric, scissors, thread, and many more. When you have more than one suitcase, you may repurpose them as more functional furniture. Here, you can create side table with unique shape. Just add aboard at the top of suitcases and put a vase, book, or anything there. Create this shabby chic storage form an old suitcase. You may put any small things on this wall cabinet. Even, you may add some S holder to hang your towel. This idea will add a touch of rustic element for your room. You need to use a large suitcase to create this amazing vintage luggage chair. Add four or more legs to make this luggage chair strong. Then, give a pillow to make looks more interesting. Decorate your entry way with some old tiny suitcases my look as fantastic idea. Just hang them tidily on the wall. Then, put your small accessories on them. Make sure that you give better lighting. It may hard to find antique trunk to create bookshelf like the picture. You need to add some boards as shelves. Put this antique trunk at one of your nooks. If you have some old suitcases that cannot be used anymore, why don’t you repurpose them as other functional furniture? Like this suitcase dresser that may give you extra storage to save your cloth, toys, or anything.